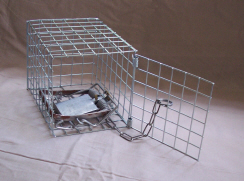 The Elgeeco designed Fenn Cage is the recommended size for a Mk 4 Fenn Spring Trap. 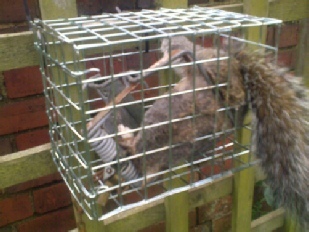 It incorporates a full width hinged access door and a restricted access vermin entrance. Zinc plated finish; Weight: 0.5 Kilo. 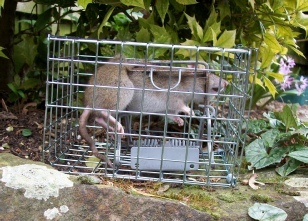 When covered with a used plastic sack or bin liner, and weighted down if necessary, it provides a secure location for Mk 4 Fenn traps in and around livestock buildings.